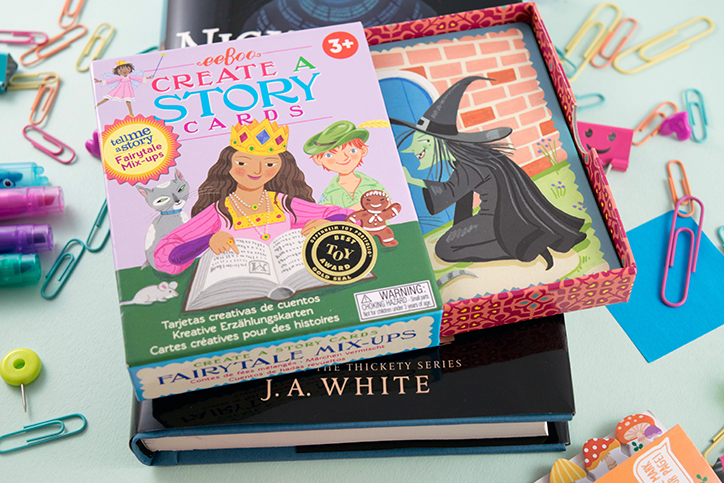 Ignite Your Creativity with OwlCrate Jr.'s STORYTELLERS TOOLKIT Box | YAYOMG! Before we get started gushing about this month’s OwlCrate Jr., we have an apology to make. 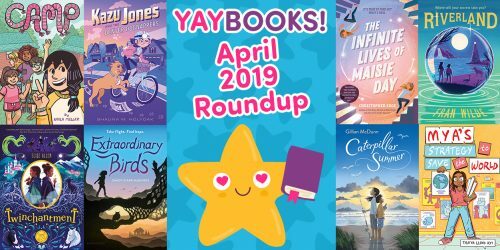 We’ve been kinda busy over here at YAYOMG! 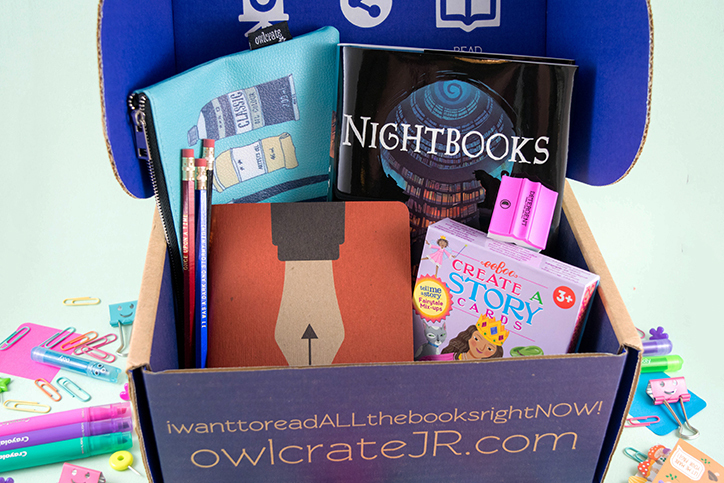 headquarters and for the first time ever, missed not one, but TWO OwlCrate Jr. unboxings. 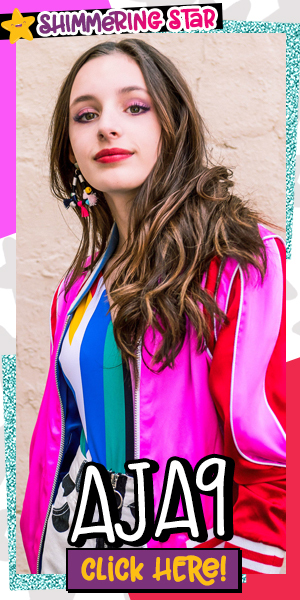 We have unboxed every OCJR since the very beginning because it’s our most favorite subscription box, and we just wanted to say sorry to our readers who look forward to our unboxings each month. June and July had some pretty spectacular stuff in them, and we’re sorry we let you down. Now, onto the good stuff! The theme of the August box is STORYTELLERS TOOLKIT and it delivers on that theme in so many fantastic ways. 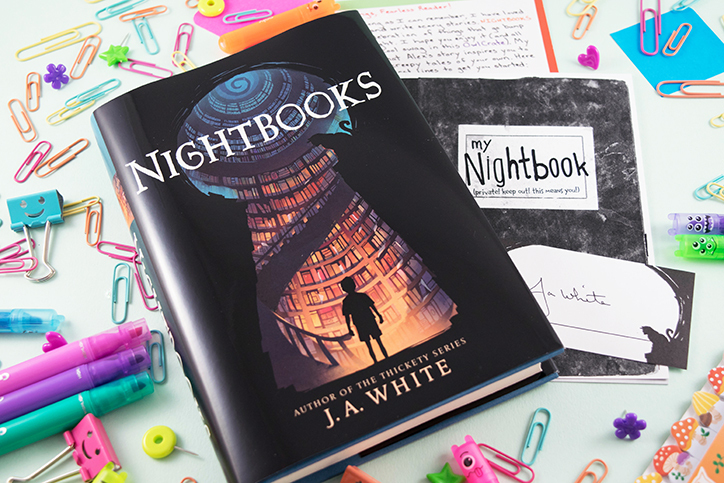 The book of the month, Nightbooks, tells the story of a boy locked away by a witch who demands he tell her a new story every night. Imagine having to come up with a brand new story every single day? It can be tough, especially under witchy pressure. 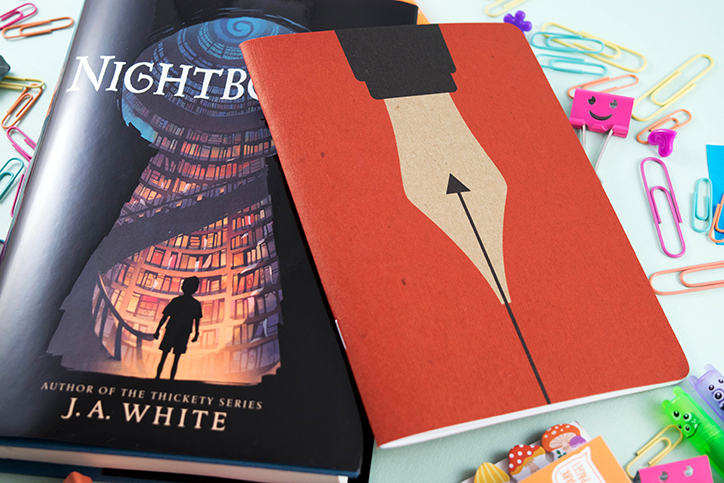 That’s why everything that comes in this month’s OwlCrate Jr. its made with storytellers and writers in mind. 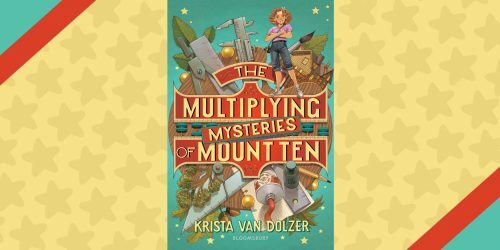 From adorable notepads to freshly sharpened pencils, this book is a budding writer’s dream come true. Plus, everything doubles as great back to school gear! Ready to see what we found inside this month’s box? Keep on scrolling! Perfect for first drafts, story ideas, or just jotting down homework notes, this gorgeously designed notebook is sure to inspire you. It has a pretty fountain pen on the front that will surely inspire stories to flow out of you. Carry it with you wherever you go so you can always jot down your next big idea! How cute is this pouch? 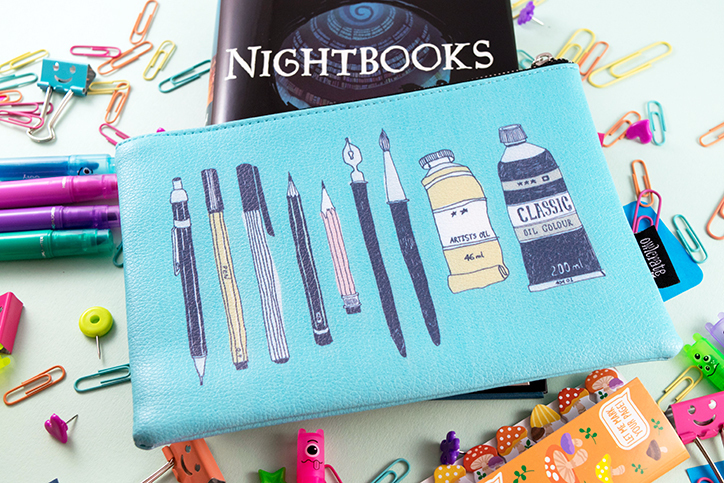 We have quite a few pencil cases and zipper pouches now, but we never seem to run out of stuff to stash in them. This one is particularly high quality, so it’ll definitely stand up to the wear and tear of being stuffed in a backpack or filled to the brim with all your best pens, pencils, and writing necessities. These fairytale inspired flashcards include a variety of enchanting settings, characters, and items to help inspire budding storytellers. They can be used individually to get your creative juices flowing or played as a game with friends and family. 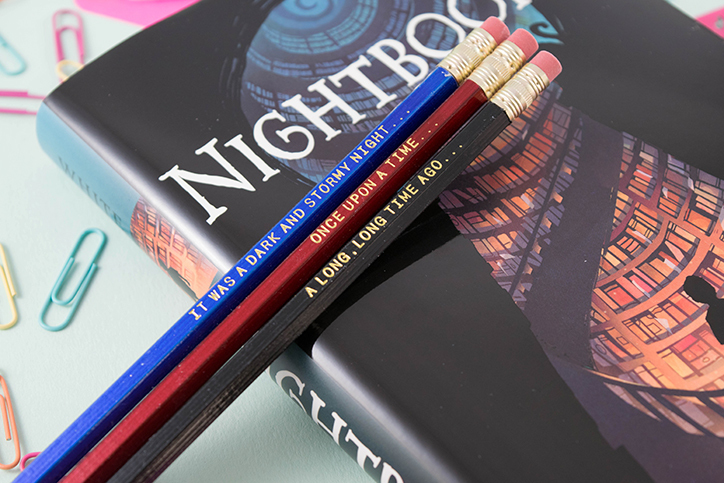 This cute pencil set has a classic story starter engraved on each pencil. “It was a dark and stormy night”, “Once upon a time”, and “A long, long time ago”. Use them to inspire your next short story or novel! How cute is this book eraser? They’re from a collection of book erasers inspired by real book titles and each OwlCrate Jr. subscriber received a different one! 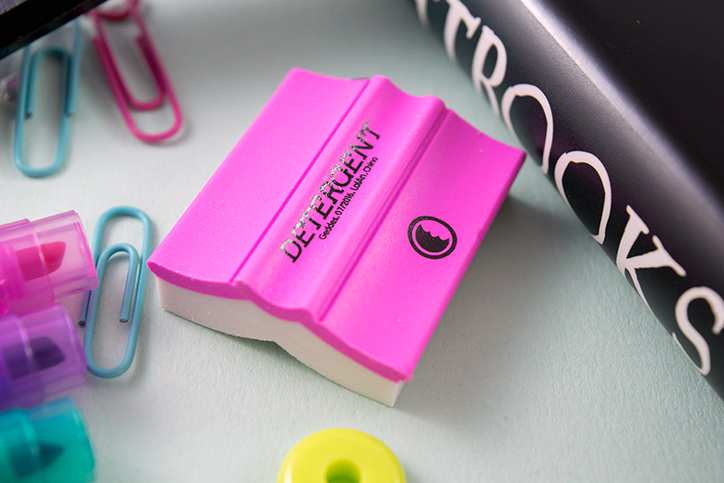 The eraser we got is Detergent, which is a funny take on Divergent, but there are a few others in the collection that you may have received in your box. The other options were Moosebumps, Hairy Pottery, Store Wars, Diary of a Nerdy Kid, and Starving Games. Last year’s spooky Halloween themed box, WITCHES AND WIZARDS, was one of our favorites of all time, so our hopes are high for this one! 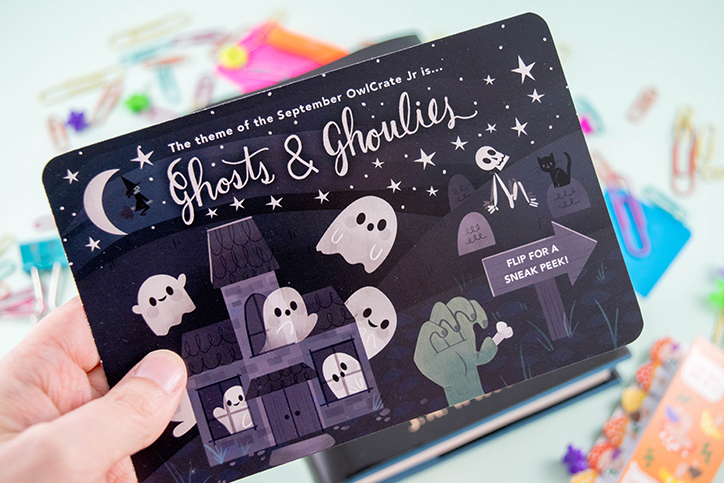 If you subscribe by September 21st, you will be locked in for the GHOSTS AND GHOULIES box, but don’t wait too long as OCJR has been known to sell out due to high demand! It really is THAT good! 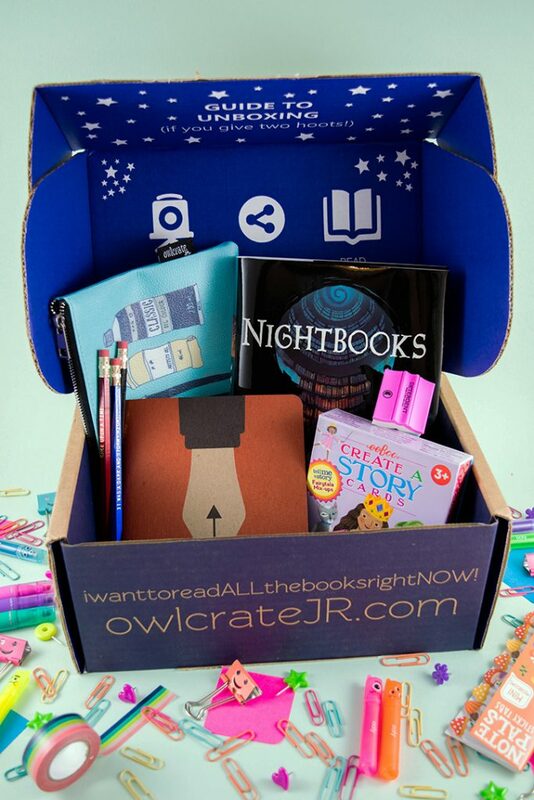 Grab your favorite adult, and head to owlcratejr.com! 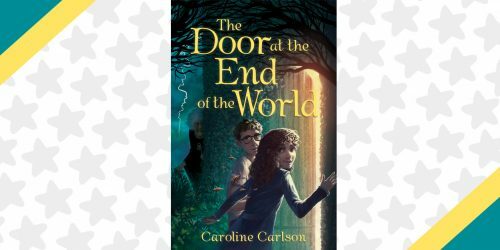 Are you a budding storyteller? Don’t miss these 6 Must-Haves for Aspiring Writers!